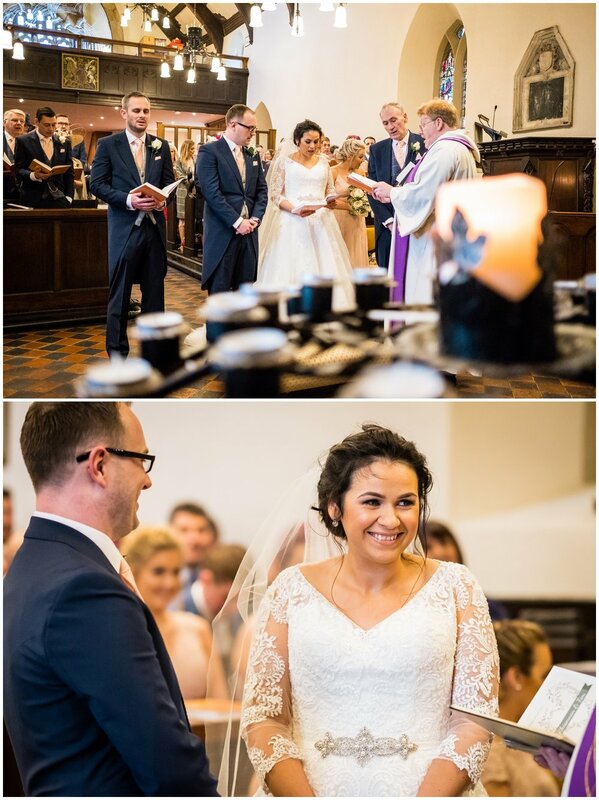 It was a pleasure photographing Rhiannon and Tim's wedding ceremony. They picked a fantastic venue to get married in. It was Mitton Hall in Clitheroe, Lancashire. 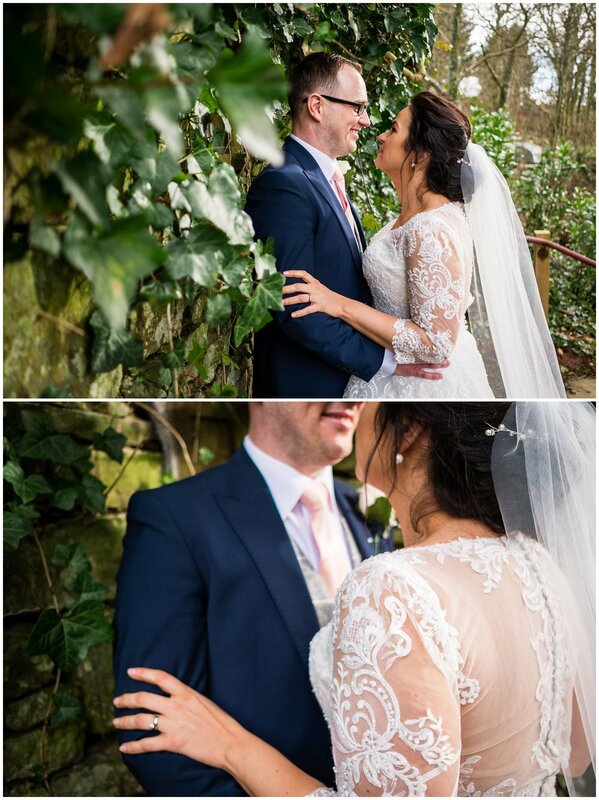 It is always a delight photographing weddings at Mitton Hall,when it comes to weddings, they don't get much better than here! The place is packed with character set is stunning grounds and gives you a real mix of the old and new as you explore the building. 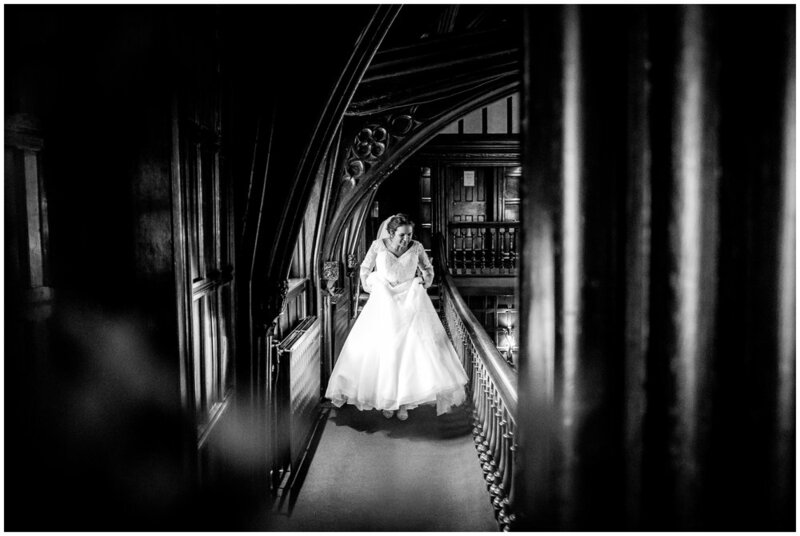 Rhiannon began her day at Mitton Hall. There was a lot of excitement as I photographed the bride and her bridal party during their hair and makeup session. She gave out gifts to the children who loved their new wedding day toys and had lots of fun with her bridesmaids. After finishing all the preparations, Rhiannon was driven to the venue in a family friends car that looked awesome. Not being a car person.. come on I drive a Smart Car.. I really couldn't tell you more about it, but it looked new, fast and she arrived in style! 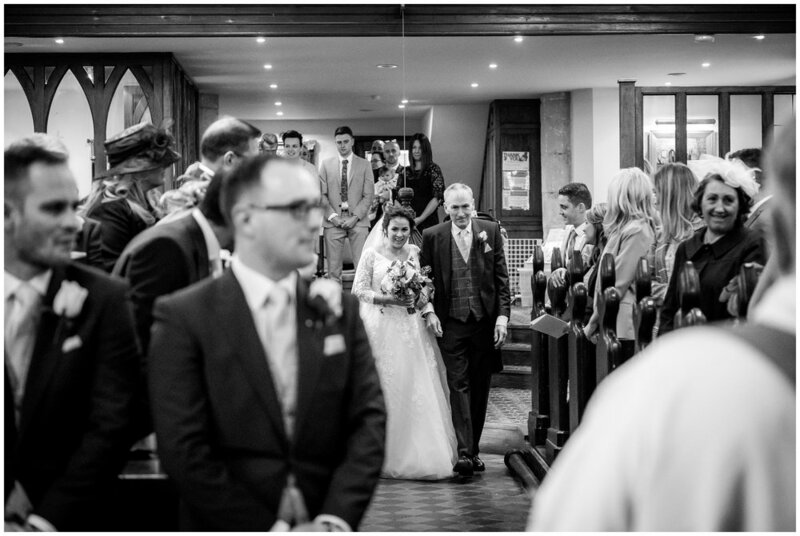 All Hallows Church was a fantastic place to photograph all the moments of Rhiannon and Tim’s wedding ceremony as the place is seconds down the road from Mitton Hall and the place is also packed with character. For such a little church is really has some lovely features! 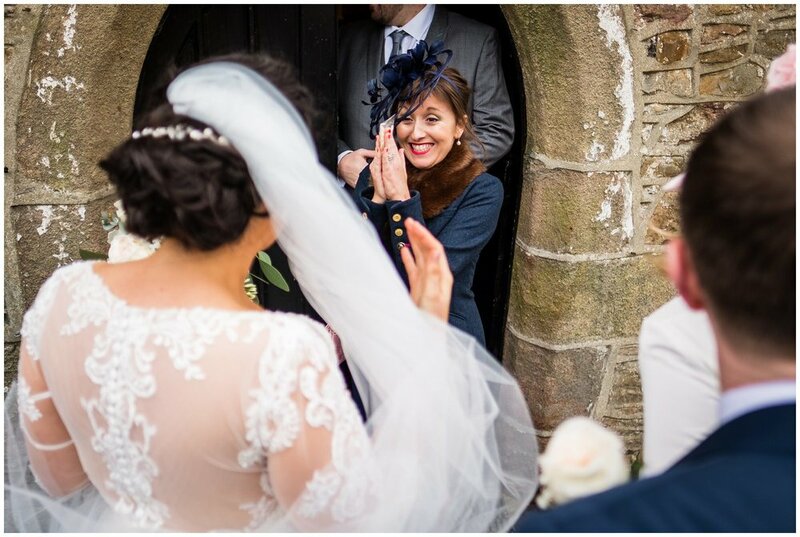 Lancashire has some of the best wedding locations not only for venues but it also home to some stunning churches. After the service, we pilled outside and the newlyweds greeting their guests before being showered with confetti. Laughter and love filled the air as more drinks were served back at the reception and I enjoyed photographing the real moments. It's a great way to capture personalities while the guests enjoy themselves. It is a delight to photograph spring weddings. Clouds filled the sky on the day, but clouds aren't a bad thing on a wedding day as they create soft light, and that really helps create flattering photographs. If the sun is too harsh you can get really bad shadows and spend most of the time squinting in the sunlight! The guests were invited to retake their seats for their wedding breakfast which was then followed by the speeches. 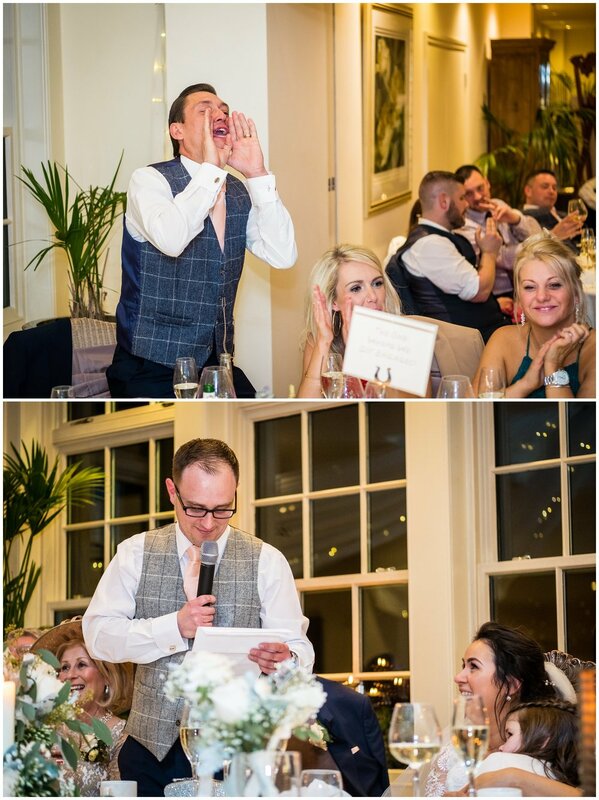 The speeches were heartfelt and gave a great insight into the history of the couple which had everyone in stitches. The couple met through friends so it was nice to capture them as they reflected on the years of their relationship. During the evening the guests were treated to a 9 piece blues band called Stax of Soul. I managed to hear them sound checking while setting up my flashes for the evening and new this was going to be awesome. 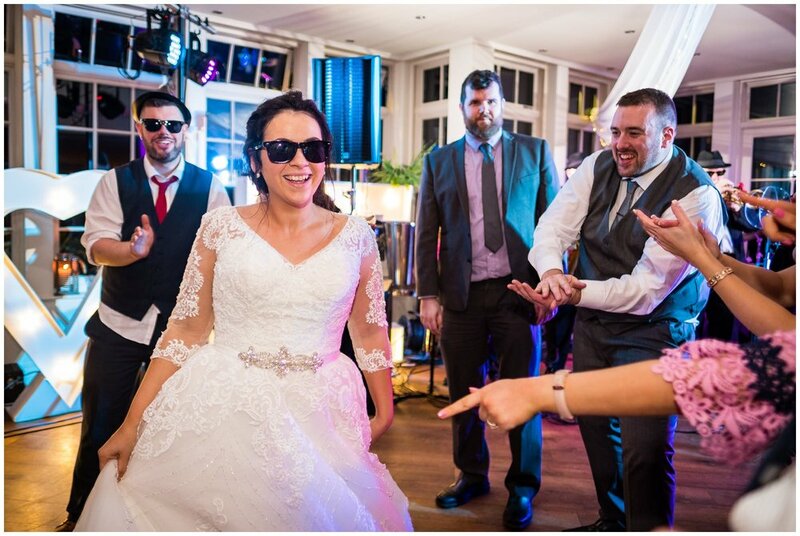 They blasted out classic hit after classic hit with a funky, soul vibe and the wedding guests loved it! 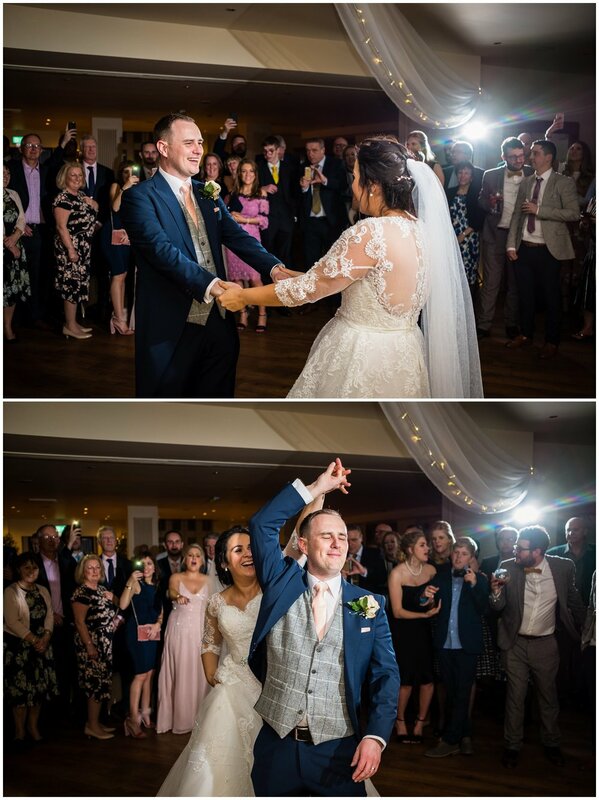 It was great to capture everyone dancing and having a good time, the perfect way to end the celebrations. Between sets the entertainment continued by the called DFC DJ who ALWAYS bring the party whenever I work with them. Their professionalism throughout their service are why they're on my recommended supplier list. The all new bridal room at Charnock Farm!